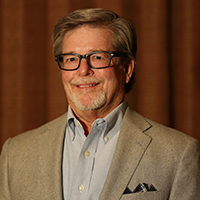 John Bovard is the President and CEO of Bovard Insurance Group in Kansas City, Missouri and a member of the Sunstar Insurance Group Executive Committee. He is a graduate of Marian University in Indianapolis, Indiana with a degree in Business Administration. After college, he worked for a national insurance broker before founding his own insurance agency in Kansas City in 1981. That agency subsequently evolved through acquisitions into Bovard Insurance Group, one of the largest independent insurance agencies in Kansas City. The Bovard Insurance Group was purchased by Sunstar in 2013 at which time he joined Sunstar. Clay Miller ChFC, CFP® is Vice President of Sales for Bovard Insurance Group, the Kansas City division of Sunstar Insurance Group. Clay is a United States Navy veteran. He is a graduate of the University of Iowa with a Bachelor of Business Administration in Finance. He began his insurance career in 1986 as an agent for a national direct writer before joining Bovard Insurance Group as a founding member. Clay specializes in helping residential general contractors manage their risks thru the use of various insurance products and contractual risk transfer. Cindy Stephens is an Executive Vice President of Bovard Insurance Group in Kansas City, Missouri and a member of the Sunstar Insurance Group Executive Committee. Her background includes working as an underwriter with the USF&G Insurance Company, as well as executive positions in several Kansas City area agencies. 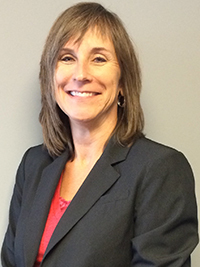 She is currently the Chief Operating Officer and Marketing Manager for Bovard Insurance Group. She has been in the insurance industry for over 30 years and joined Sunstar in 2013 with its purchase of the Bovard Insurance Group. She holds the designations of Certified Insurance Counselor (CIC) and Certified Risk Manager (CRM). Terry Stewart is Vice President-Commercial Lines/Account Manager of Bovard Insurance Group in Mission, KS. Her back ground is founded in Commercial Lines Insurance. She has been in the insurance industry for 20 plus years. She holds the designation of Certified Insurance Counselor (CIC).